Three faculty members and 15 students from SAE Expression College’s Animation Department teamed up to create an animated educational short film for the San Francisco Junior Giants, a charitable arm of the San Francisco Giants. SAE Expression College animation students produced a video for the San Francisco Junior Giants teaching important lessons to young fans. All the work on the film was done by students, production time for the project was 16 weeks and was a collaborative effort between two cohorts of students. The project provided a great opportunity to give the students real world experience. 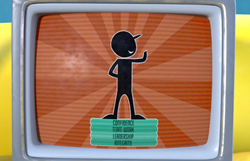 The "Splash Hit" animated video was created to teach important lessons about health, education, the four bases of character development (integrity, leadership, confidence, team work), and striking out bullying. The message is tailored to a young audience and is conveyed in an engaging and enjoyable manner featuring two sea lion characters in McCovey Cove with the AT&T ballpark serving as the backdrop. “We wanted to tell a story that was not dull and boring, but one that the kids would enjoy while learning the important message the stunning video conveys," says Brian Andrews, Program Chair of Animation & Visual Effects as well as Digital Filmmaking at SAE Expression College. “All the work on the film was done by students, production time for the project was 16 weeks and was a collaborative effort between two cohorts of students. The project provided a great opportunity to give the students real world experience." Faculty members Lauren Morrison and Justin Pixler also worked on the project alongside Brian Andrews. The video also features the voice of Buster Posey, pitcher for the San Francisco Giants. The “Splash Hit” is available on MLB.com and was distributed on DVD to 90,000 families participating in the Junior Giants program. SAE Institute provides aspiring creative media professionals with a foundation of practical theory and valuable hands-on training in their chosen areas of concentration. Under the guidance of industry-experienced faculty, students gain the essential experience they need for entry-level jobs in the creative media industry. Students are supported in their job searches by SAE’s international network of alumni, many of whom are leaders in the music, film, game arts, and live performance arenas. SAE Institute offers programs in Audio Technology in seven US campuses, along with a Music Business program at select locations, all fully accredited and focused on preparing students for employment upon graduation. Bachelor’s Degree programs in Animation & Visual Effects, Digital Filmmaking, Game Art & Design, Interactive Audio, and Sound Arts are available at SAE Institute San Jose and SAE Expression College in the San Francisco Bay Area, formerly Ex’pression College. SAE Institute Group, Inc. is a part of Navitas LTD. Learn more at usa.sae.edu.